From the Swamp to the Nile: All my bags are [halfway] packed…I’m ready to go! All my bags are [halfway] packed…I’m ready to go! This dream I’ve long had of joining the Peace Corps is almost a reality…10 days from now I’ll board a plane from Tallahassee and fly to Philadelphia for a seemingly very brief orientation. The following morning we’ll go to clinic and get a few shots (not sure what we still need…) then head over to Newark (to a central park in Newark! Flight of the Conchords reference for all you fans out there! 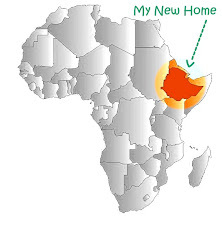 ), where we will leave for ETHIOPIA at approximately 5:50pm on Tuesday, October 6, 2009. We have a layover in Frankfurt before arriving to Addis Ababa 25 hours later and 7 years ago. We'll be traveling back in time. The Ethiopian Calendar (http://en.wikipedia.org/wiki/Ethiopian_calendar) is a bit different from ours…the new year just started on September 11 and it is now 2002. …So this journey has already been a year in the making! I'll actually explain what I'll be doing in Ethiopia in a different post, as I'm sure you're curious. In a nutshell, I haven’t had too much time to prepare for this trip (and by trip I mean the next couple years of my life). I know very little about Ethiopia, although I have purchased a Lonely Planet book and Amharic phrase book (I know I'm going back in time, raw meat is a delicacy, and there's good coffee). I feel as though I’ll just learn as I go. Another exciting thing is that my group (I assume there are about 40 of us) is the 3rd to go back to Ethiopia since an extended Peace Corps absence. I’m glad I’ve been able to spend the last month and a half back in Tallahassee with my family and friends. It really hasn’t hit me yet that I’ll be gone for quite some time and I am truly going to miss you all when I’m overseas. Hillary (my lovely sister) and her fiancée, Martin, are getting married next Saturday and I leave Monday morning. Next weekend is going to be a whirlwind of emotions, but I’m extremely excited about these two epic days and the fact that I'll be able to see all of our out of town relatives before I leave. I haven’t really had time to freak out about my departure because I’ve stayed busy since moving back from Colorado, which is a good thing. If anything, I'm looking forward to starting this next chapter of my life while not being nervous, which is also a good thing (don't think my mom is on the same page). Alright!!! I'm excited to hear more soon! +10 points for the fotc reference!i saw them when they were in nyc this past year. greatest concert ever. i didn't stop laughing the whole time. looking forward to Monday!! Ethiopia here we come! Ugh! I miss you already but... I am keeping a poker face - I know this is what you want to do! I read this ditty recently and I though of you.